You can search for shifts based on certain criteria from most schedule views. This can be handy, for example, for viewing a list of all shifts for an individual employee in the next month or for a date range. 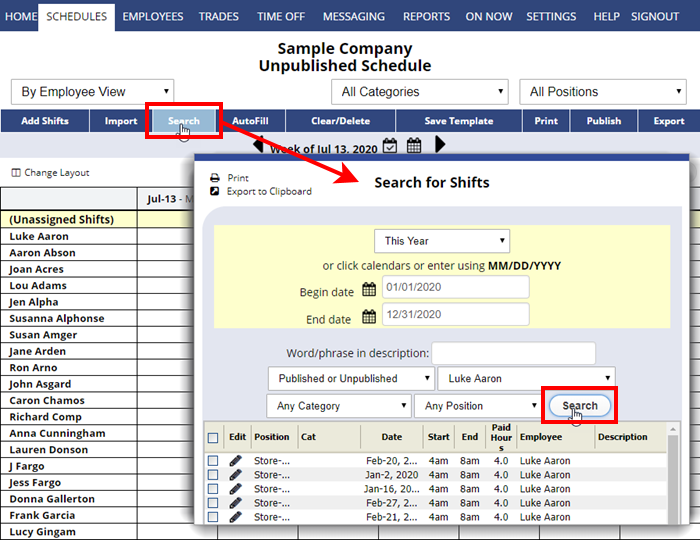 view one employee’s shifts for a certain position or category for last month.